NEED MORE INFO? WANT TO MAKE A REFERRAL? CALL (814) 949-7230, EXT. 108. OR SIMPLY CLICK HERE! The first step in the process is to contact the Blair County Infant Toddler Early Intervention Program to make a referral. To do so, please call North Star Services at (814) 949-7230, Ext. 120. Here you will speak with someone who will ask you for some contact information and information about the child, including your concerns about the child development. After a referral is made, the assigned Service Coordinator (SC) will telephone the family to schedule an intake meeting. At the intake meeting, the Service Coordinator will explain Early Intervention to the family and gather information about the child and family. This information will help determine who the team members for the evaluation should be. The evaluation will occur only with the permission of the parent. This evaluation will look at all areas of concern as well as any others that were indicated by the information gathered by the SC. The initial evaluation is conducted by a team that includes the parent(s), Service Coordinator, the evaluator and anyone whom the parent(s) would like to invite. The team works together to determine the child eligibility for the early intervention program, to answer the parent/caregiver questions about the child development and to collect useful information about the child skills and needs within the context of the child and family natural environment and everyday routines. Informed clinical opinion that there is a delay, even though it may not appear on the assessment. Delays may not appear on the assessment because no standardized test is available or the testing is not appropriate for the child due to child age or developmental area. If your child is eligible, early intervention services and supports are provided. The service coordinator and other early intervention team members will help you move to the next step which is the development of a written plan, the Individualized Family Service Plan (IFSP). This document is based on outcomes that are important to you for your child and family. The written plan also details the early intervention services or supports the child will receive. Including medical, that the child needs but are not required through EI. Funding sources in place, or steps to be taken to secure those services through public or private sources. Expected to be achieved for the child and family. Also included are the criteria, procedures and timelines used to determine progress being made for outcomes and whether or not modifications or revisions of the outcomes or services is necessary. Projected dates for starting EI Services will be specified. If an EI service is expected to start later than the allowed 14 days, the date and justification of the later start date are necessary. The anticipated duration of EI services must also be documented. Frequency, intensity and method of delivering services. Frequency and intensity refers to the numbers of days or sessions that services will be provided, length of time for the service session and whether the service is provided in an individual or group basis. Natural environments in which EI services will be provided. If services will be provided in settings other than natural environments, a justification and specified location are needed. Unit cost for each service. Participation in Regular Childhood Program and with typical children. The IFSP document is based on your child strengths, unique needs and your family concerns and priorities for your child. Identify what resources you and your family already have to enhance the child development, and identify services you might need. Early intervention services must be delivered in settings that are consistent with the needs of the child and family. To the maximum extent appropriate, services and supports are provided in natural environments, including home and community settings where a child naturally learns through everyday routines and activities. Will have the Ages and Stages Questionnaire mailed to them on an agreed upon interval to monitor the child progress. Can request a screening or evaluation at any time by contacting the service coordinator. Will have an open file at the Case management Unit, and the service coordinator will be available to the family for assistance and referrals to other community resources. Will remain in the Early Intervention Reporting System (EIRS) database, as directed by the Department of Public Welfare, Office of Mental Retardation. The at-risk child and family need to be contacted at least once every 3 months after the child is referred to the tracking system. The team may also recommend and the parent(s)/caregiver(s) may agree to more frequent contact, or the parent(s)/caregiver(s) may also request less frequent or no contact at all. The use of a standardized developmental checklist may be used to determine the need for further tracking or further evaluation/re-evaluation for eligibility for EI services. 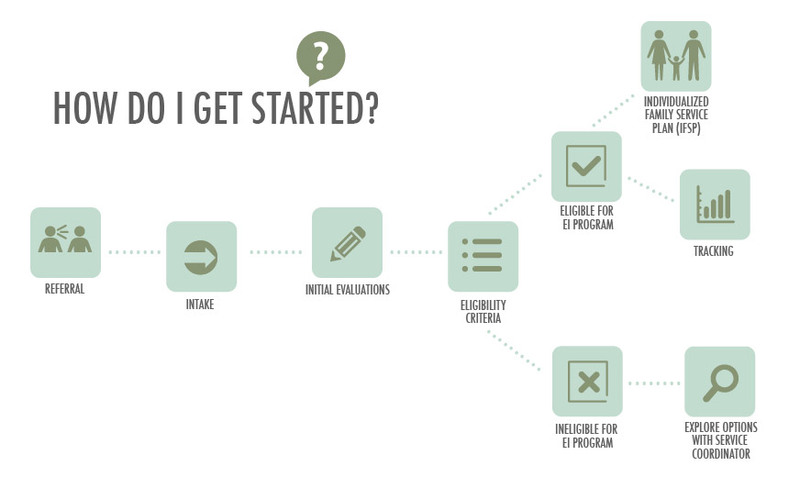 If your child is determined to be ineligible for the EI Program after the initial evaluation, your Service Coordinator may be able to discuss other options that you may have. 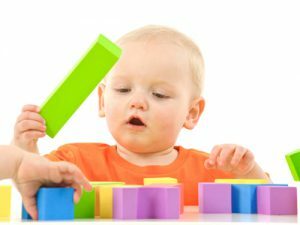 As time passes and if you still have questions about your child development, please don’t hesitate to call North Star Services (814)949-7230 ext. 108 for a follow-up. © 2018 SASMG. All Rights Reserved. Design & Developed by 3twenty9 Design, LLC.